- Viewing Head: Binocular head with eyetubes inclined at 30°, interpupillary adjustment from 48mm - 75mm. - Eyepieces: Widefield, 10x eyepieces, FN20 with mount for reticle. Focusable, with /-5 dio9pter adjustment. Includes eyeshields. - Total Magnification: 40x, 100x, 200x and 400x. 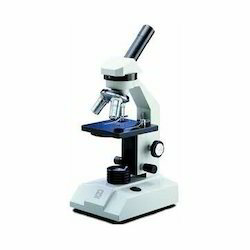 To retain our goodwill in clients' consideration, we are manufacturing an excellent range of Pathological Research Binocular Microscope with infinity plan optical system. cancer cells, how they are arranged together, and the extent to which the cancer invades nearby tissues in the specimen are usually included in the microscopic . 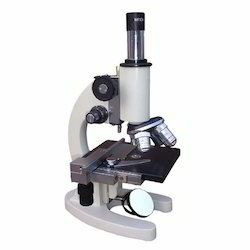 We are a well acclaimed industry in the precision engineering and supply of a varied range of Microscopes to our customers. Base : The contempary Horse Shoe hinged type base for easy inclination while observation liking. Nose Piece : Quadrupple revolving nose piece. Focussing Processor : Seperate Coarse condenser N.A.1.3 with up and down movement through rack and pinnon mechanism.